I’m so excited to share with you next Thursday natural skincare remedies that you can easily make yourself at home! I’ve gathered together some truly nourishing, 100% natural ingredients that your skin will just love to gobble up. Let me just say, though, that these skincare products that we will be making aren’t ‘magic’ cures to dry and parched, acne-riddled, or red and inflamed skin. Why? This is because your need to nourish your INSIDES just as much (and perhaps even more!) as your outsides. During the workshop we’ll touch on how you can nourish your insides, as well as your outsides, to help to achieve healthy, glowing skin – and vibrant health! 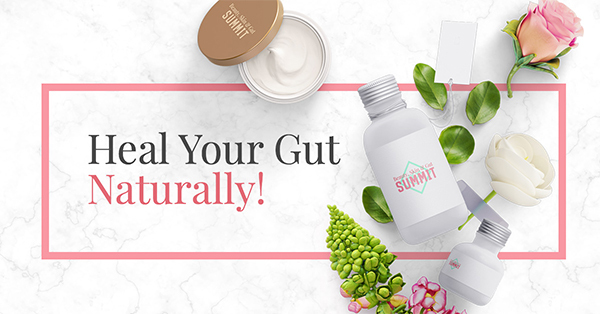 In the meantime, there’s an AWESOME online summit going on called the ‘Beauty, Skin & Gut Summit‘ which explores the connection between the gut and the skin. You can watch the summit for FREE for the next six days. Everyday you can listen to a new interview with an expert in the field, a documentary, and have access to healthy skin recipes, yoga and meditation exercises (yes, stress is related to skin issues! ), plus more. This will get you inspired for our hands-on DIY Chemical-Free SKINCARE workshop next Thursday! If you’d like to learn how to use essential oils to make your own natural, toxic-free skin care products, come along to our next workshop! If you’d like to attend but can’t make the date, please let us know and we can organise another workshop at a time that suits best. All of the products will be made from natural ingredients, including 100% pure, therapeutic-grade essential oils. All ingredients and containers for the products will be supplied. You won’t believe how quick and easy it is to make your own skincare products! And it’s also super cheap – it is literally only $30 to make five high-quality, natural products, including the cost of the containers. As spaces are limited, we would appreciate that you book in and pay prior to the workshop. If you’re broken, do what works for YOU!